In front of the largely American audience, he admitted to being somewhat intimidated, having to give his speech after listening to those of fellow writers Junot Diaz and Barbara Kingsolver, along with Colbert’s verbal antics. “Normally, when I travel around in Asia and the rest of Europe, I will, of course, speak English. But it’s kind of easier to speak English there. Here, it’s sort of intimidating. I sat here listening to all of you, and there were words there that I didn’t know existed in English. You know, you guys, you’re so good at speaking English,” said Nesbo. Nesbo’s mother was a librarian and brought home books to read to her two sons, and his father was a big reader, as well, devouring volumes by Mark Twain and James Fenimore Cooper. “All in all, I grew up in a home where fiction and tall tales were considered a good thing—even a healthy thing. So I guess where all the kids aspired to be doctors to save the world, my call was to expand the average life span of humanity with some tales of death and murder,” he said. 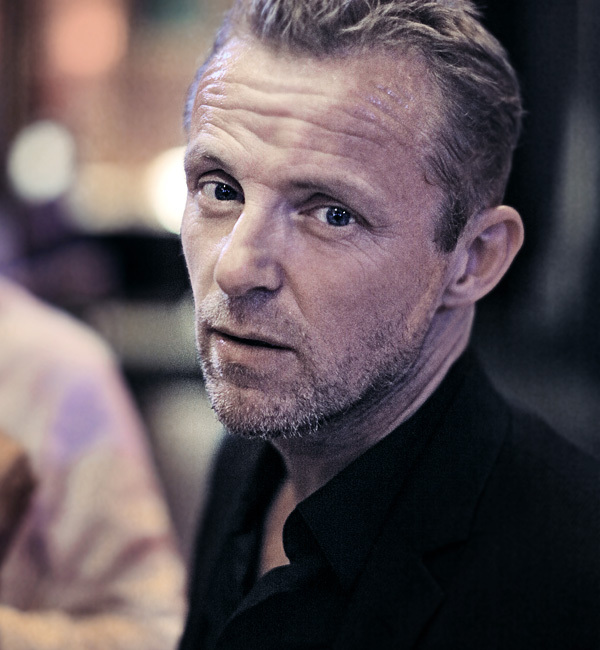 After Nesbo finished school, he moved to Oslo and started his own band. They started to play at a small club where the band’s bass player worked but had to get creative in order to attract people to their shows. “We would play for free or for beer. We were so bad, so in order to make people come back the next weekend, we would change the name of the band that we were in,” said Nesbo. The band released a first album titled That Album that sold 5,000 copies, but it was their second album that hit the big time. “We had a huge success with two singles, and suddenly we were playing all over the country. You know, big gigs,” he said.